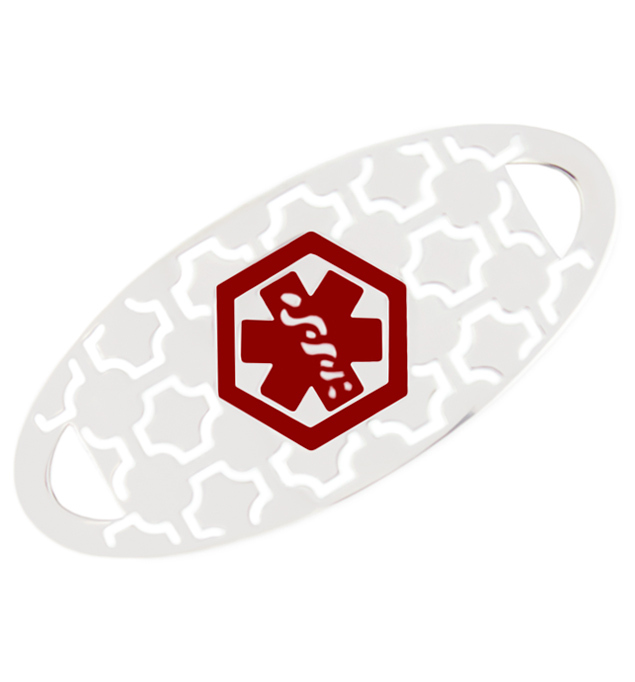 Our Silhouette Oval medical ID tag is detailed and stylish with a geometric background pattern and white inlay. It bears a bold, red medical caduceus symbol on the front that is internationally recognized by first responders, alerting them to your personal medical information engraved on the back. This stainless steel medical ID tag affixes easily to any interchangeable Lauren’s Hope medical ID bracelet strand using the lobster clasps at either end of the bracelet.